Grew up with CSKA Moscow (Russia) juniors. Made his debut with CSKA during the 2006-07 season, when he also played with CSKA Trinta Moscow, in the Higher League. Back to CSKA Moscow for the 2007-08 season. Signed for the remainder of the season by Dynamo Moscow. Back to CSKA Moscow for the 2010-11 season. Signed for the 2012-13 season by Minnesota Timberwolves. Signed for the 2014-15 season by Philadelphia 76ers. In December'14, signed by Houston Rockets. In February'15, signed by New York Knicks. Moved to Russia for the 2015-16 season, signed by BC Khimki Moscow region. 2017-18 EuroLeague Alphonso Ford Top Scorer. Named 2017-18 EuroLeague February MVP. Named 2017-18 EuroLeague Round 12, 14, 18 and Playoffs game 3 MVP. 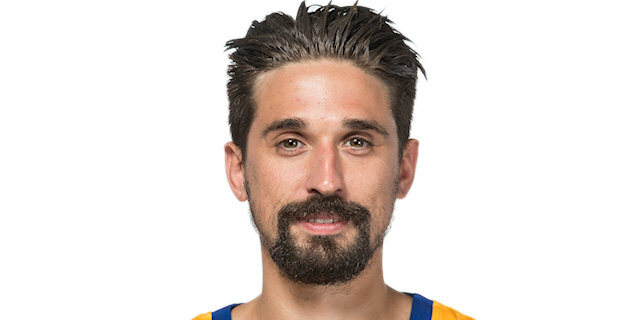 Named 2018-19 EuroLeague Round 8 MVP. Led the 2017-18 EuroLeague in scoring (21.8 ppg.). Named to the 2016-17 All-EuroCup First Team. Named 2016-17 EuroCup Top 16 Round 4 and Quarterfinals Game 2 MVP. Led the 2016-17 EuroCup in scoring (22.1 ppg.). Led the 2016-17 EuroCup for index rating (22 ppg.). Won the 2007-08, 2008-09, 2010-11 and 2011-12 Russian National Championship with CSKA Moscow. Won the 2012 VTB League with CSKA Moscow. Played at the 2013 and 2017 European Championships. Played at the 2007 and 2008 European U-20 Championship.